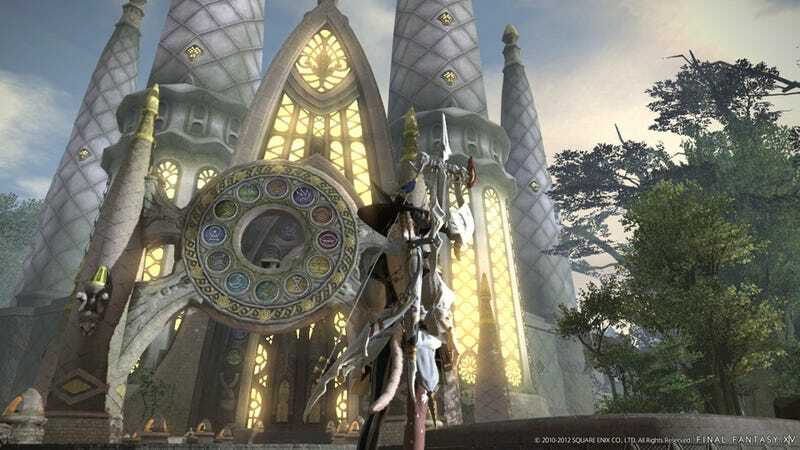 Square Enix's new/remade MMORG, Final Fantasy XIV: A Realm Reborn was shown at Gamescom 2012 in Germany yesterday. During the stage event, producer/director Naoki Yoshida stood on stage to show what has been developed so far. As can be seen from screenshots, FFXIV: A Realm Reborn has some pretty spectacular graphics. Yoshida proudly announced that the game boasts "the highest quality graphics of any current MMO." In combat, a new Limit Break feature reminiscent of Final Fantasy VII has been added to the combat system that allows for parties to execute powerful attacks. Parties will have a shared Limit Break gauge that is filled through normal combat and the well-timed execution of attacks and support maneuvers. Battles are also being re-tuned for quicker, smoother encounters. The initial game system itself has also been altered to allow for a more tutorial-style that allows new players to smoothly gain levels while learning the basics of the game as part of their quests. Yoshida warned that current players of Final Fantasy XIV may find the system restrictive at first, but that this was necessary to prevent players used to the old system from being thrown straight into the new system without any idea of what's changed. As for the hardware requirements for playing the game, while the specs for the demo machine used at the event were unannounced, apparently, any machine powerful enough to play the current Final Fantasy XIV will be able to run A Realm Reborn without any necessary upgrades. No official release date has been announced other than "this year," but Square Enix has announced that there will be a beta test scheduled for "Winter 2012."